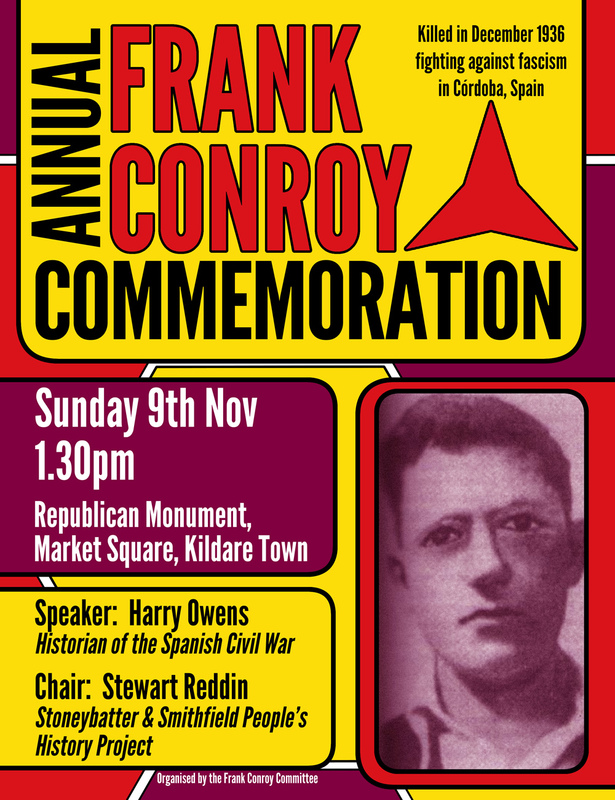 The 3rd Annual Frank Conroy Commemoration was a huge success with a large crowd including Councillors Joanne Pender and Mark Lynch, attending the event at the Republican memorial in Kildare town, on Sunday 9 November. Stewart Reddin (Stoneybater and Smithfield Peoples History Project) introduced Kildare historian and author James Durney. 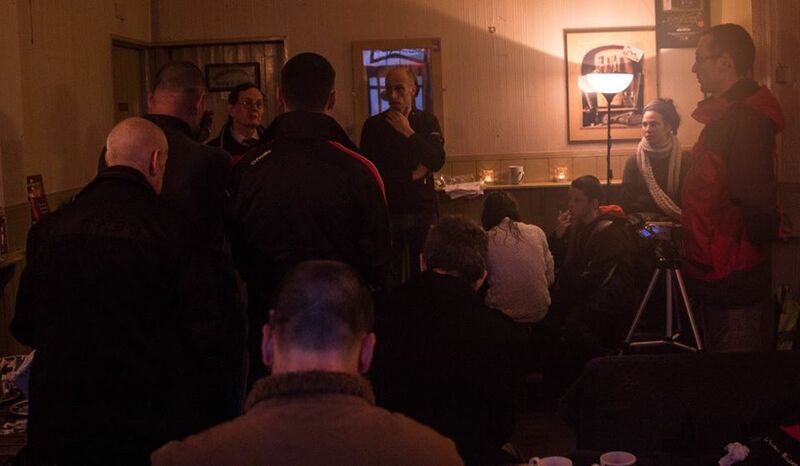 Durney spoke about the search that located the birthplace in Kilcullen of Spanish civil war hero Frank Conroy. 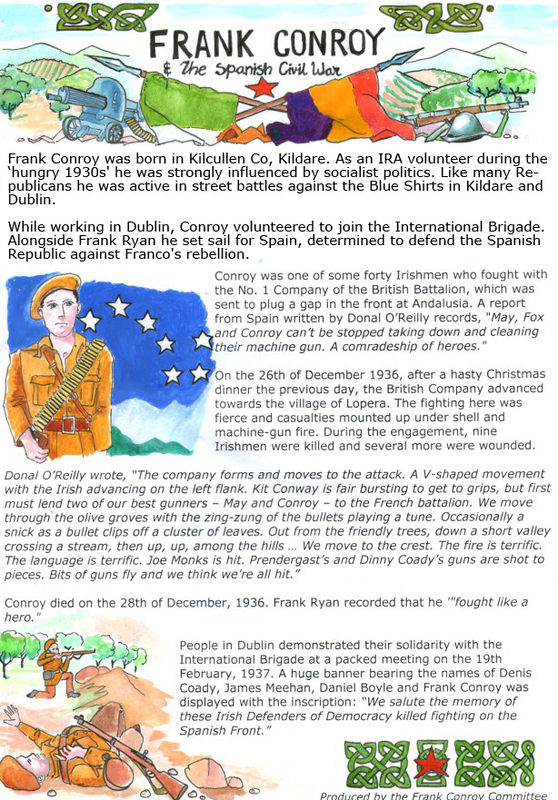 Conroy died in 1936 while fighting with the International Brigade defending the Spanish Republic. Conroy a former IRA volunteer and a member of the Communist party, left for Spain on the Dun Laoghaire-Holyhead ferry on 13 December 1936 with about twenty-five other Irish volunteers of the International Brigade, including Republican Frank Ryan.Within days six of them would be dead including Conroy”.